Note: For more information on our current research, please refer to the ADF&G website. 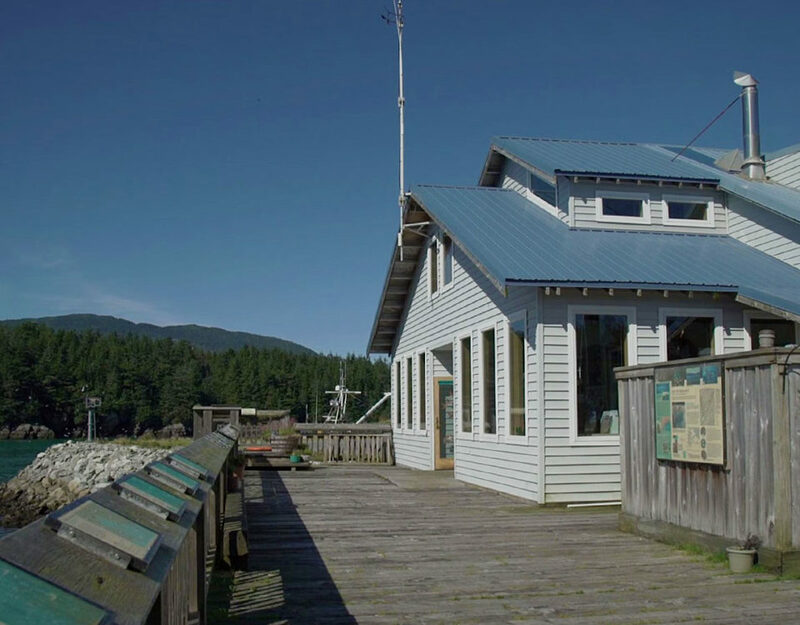 In Prince William Sound, wild and hatchery-bred pink and chum salmon are important commercial fisheries. Pink salmon is the largest of any commercial fishery and is serviced primarily by the purse seine fishery. 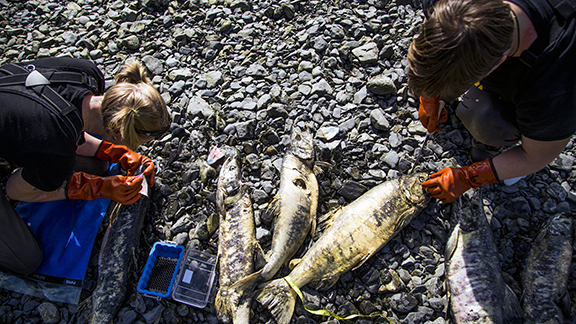 Commercial, recreational and subsistence harvests of salmon profoundly affect the economic and cultural fabric of Prince William Sound communities. Coho, sockeye, Chinook, pink, and chum salmon support valuable fisheries in the region. The economic impact of these fisheries is critical to many small coastal communities here, and around the globe. Yet, the interactions between wild and hatchery fish are little understood. Our research focuses primarily on two species of Pacific salmon found in Alaska, both of which evolved from their ancient rainbow trout ancestors. They start their lives as freshwater fish, then change and develop the ability to live and grow in the ocean where they mature. As native fish evolve and interact with hatchery fish, there are inevitable impacts. We seek to understand those impacts in order to help maintain the unique identity and health of every species. (1) What are the extent and annual variability in straying of hatchery pink salmon in Prince William Sound (PWS) and chum salmon in PWS and Southeast Alaska (SEAK)? The PWSSC is engaged primarily in collecting the large amounts of field data to support scientific analyses to answer these questions. The study was designed and continues to be guided, by a Science Panel organized by ADFG consisting of state, federal, NGO, and academic experts on salmon biology and management, genetics, hatchery issues, and experimental statistics. The contract study was originally organized into three projects: PWS stream sampling (Dr. Kristen Gorman, Project Leader); PWS ocean sampling (Dr. Michele Buckhorn, Project Leader); Southeast Alaska stream sampling (Tory O’Connell, Project Leader). 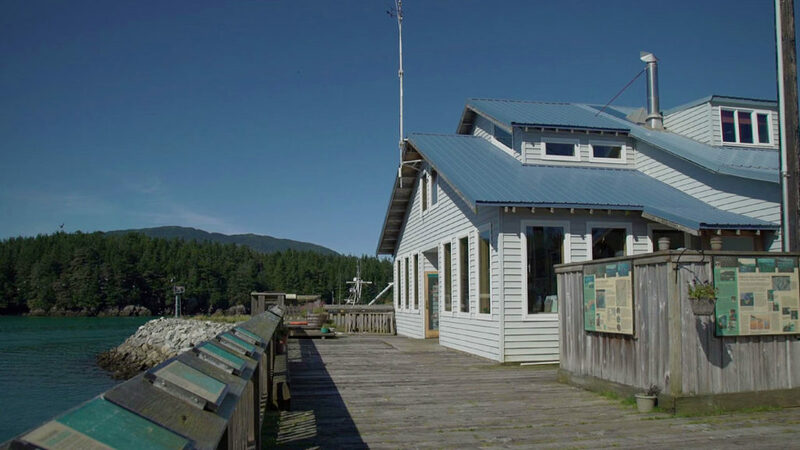 The Southeast Alaska stream sampling project is being subcontracted to the Sitka Sound Science Center. Currently, the focus is stream sampling in western Prince William Sound and is directed by Dr. Pete Rand. Dr. Eric Knudsen is the overall project manager and science coordinator, working under contract to the PWSSC. Fieldwork was initiated in 2012, and field crews will continue sampling through 2019 in Prince William Sound. The current focus is on 5 streams in western Prince William Sound. Otoliths (“ear bones”) and heart tissue (for genetic analyses) are collected from thousands of adult pink salmon every season. The main objective is to compare relative reproductive success across different pink salmon family lineages (or pedigrees), each with unique combinations of wild- and hatchery-origin parents.